Restores, protects, and preserves. Hobo's leather cream is handmade in the USA with all natural ingredients. 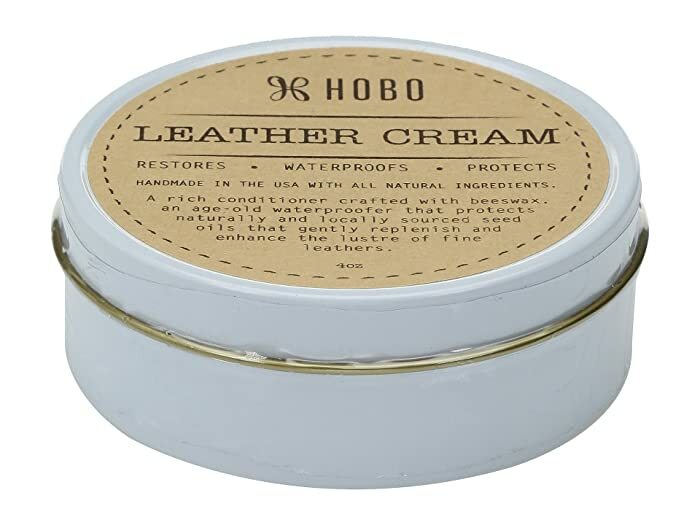 It is a rich conditioner crafted with beeswax that naturally protects against the elements and protects the leather. To use: Use a soft, dry cloth. Apply a thin coat to a small space and work into leather in small circular motions. Allow cream to dry. Buff with a clean, dry cloth. Notice the natural luster of the leather and enjoy!